When installing an application, the icon for it is added from launcher even if the installation is cancelled. The application's icon is added to the Unity launcher at the moment of cancellation. The application's icon is not added to the launcher on an install cancellation. Should be low; just adds an extra signal to not be called instead of "transaction-stopped" when the transaction (installation) is cancelled. All on_transaction_complete does that on_transaction_cancelled doesn't is add the application to the launcher, which is explicitly what we're trying to avoid doing here. due to some reason I can't see the flying animation of the icon and the launcher icon is added only after the installation is completed. This has been fixed in the Precise 5.0 branch, as the change was made to send the icon only after installation is complete. It's still this way in Quantal because the "flying icon at the start of install" behavior will return in Quantal with a few bug fixes. The icon does not fly into launcher once the installation of wesnoth starts. After cancelling the installation, icon flies into launcher and shows as "Waiting to install". -Open software centre and install "Wesnoth"
- Cancel action is complete -----> Icon for application "Wesnoth" stays on launcher, moving the mouse on this icon shows the name "Battle for Wesnoth(1.10)" and clicking on this icon makes the icon saturate and de-saturate in appearance a few times and icon is back to normal saturated look. @bilal, what's the status update about this bug in Quantal? @Omer: I'll add it by next week. Haven't started working on this but will start in a day or two. This seems like a software-center bug. Icons aren't sent anymore at the start of installation, and it seems like Software Center sends the AddLauncherIcon call AFTER the cancellation is complete. @Bilal - Yes, the icon is made to fly into the launcher at the end of the installation in a newer version of the software center. Sorry, the issue here is different. Once an installation is cancelled, the corresponding icon for the app is expected to be removed from the launcher. The icon flies into launcher after pressing the cancel button. Issue : The icon is not removed from launcher even after the installation is cancelled. The icon is removed from the launcher after the download was cancelled. That's surprising, because it *should* be removed if the code works alright. My installs of Quantal are borked right now so I won't be able to test this for a day or two. Week 34 - Same issue observed on Ubuntu 12.10 Quantal with ppa:timo-jyrinki/prerelease with machines (Intel,Radeon,Nvidia). Icon moves to launcher on click of cancel button (Cross button) and stays on launcher even after the installation cancel is complete. Additional information - The icon stays on launcher and remains there even after restarting the machine, the only change is the image of "Battle of Wesnoth" on the icon is replaced by a default question mark grey icon image. Indeed, Software Center is incorrectly sending the add-to-launcher signal to Unity when an install is cancelled. I'll close out the Unity side bug tasks as this is a bug on the Software Center side. Thanks everyone for your comments,, we'll work on this one very soon! Just a quick note that USC is in fact getting a "transaction-finished" signal emitted from the aptd backend on a cancellation of the install. The attached branch adds a new signal from aptd called "transaction-cancelled" that is fired accordingly, and wires it into the Software Center code. 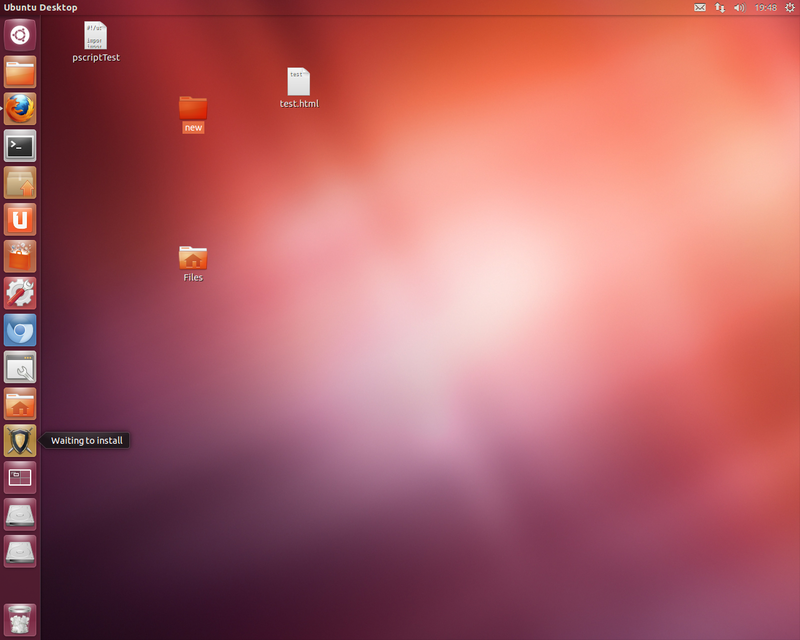 by Unity for "Top Rated" and "What's New"
Week 38- On ubuntu 12.10 quantal with ppa:unity-team/staging , this works fine. No icon is sent to the launcher until installation is almost complete. No icon is sent to the launcher after cancel button is pressed. Accepted software-center into precise-proposed. The package will build now and be available at http://launchpad.net/ubuntu/+source/software-center/5.2.9 in a few hours, and then in the -proposed repository. Executing the test case on 5.2.9 from precise-proposed, seems fixed. - backport of the transaction cancellation fix for bug LP: #1027209.